FREE Delivery over $20, when placed through our online ordering system. 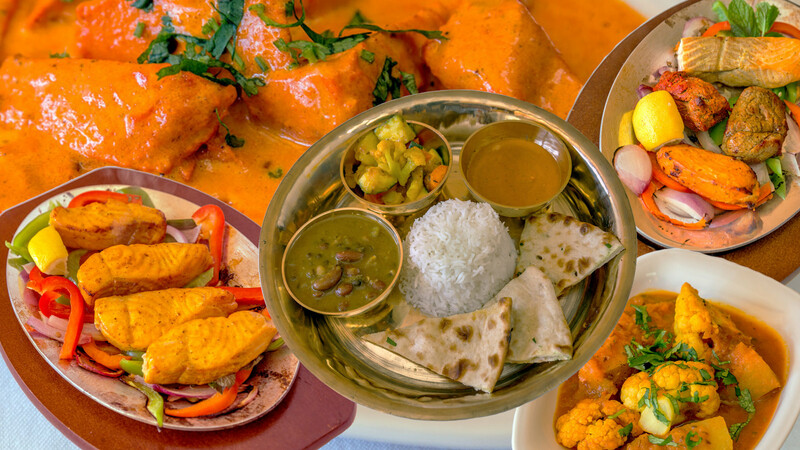 Nepalese cuisine reflects the unique geographical position of Nepal, which is wedged between India to the south and Tibet to the north. These contrasting influences create a complex cultural synthesis, which manifests in the lively interaction of the remarkably diverse Nepali ethnic groups and religious traditions. Similarly, the dishes from the Indian planes and the exotic specialties of the high Himalayas influence Nepali cuisine; the food reflects the diversity and the spirit of Nepal in the variety and the balance of its gastronomical offerings — fiery at times, but with various milder components. Please enjoy! Our restaurant reflects the aspiration of Owner & Executive Chef Prem Tamang to share the sumptuous flavors of his homeland with both residents and visitors of his adopted home here in the United States. * For groups larger than 12, please call the restaurant at (415) 647-2222 OR (415) 647-2224.